This month I celebrate four years of being free of that white paste, some call crack, I used to slap all over my head to chemically straighten my hair. Now this isn’t an EM on permed hair versus natural hair. Whether you are rocking natural hair or permed hair, be confident in being you. I, myself, went natural for several reasons. My hair started to become unhealthy, brittle, shorter and dry-looking. I also went through a period of time where I noticed my scalp felt numb sometimes although I wasn’t sure if it was from the perming. 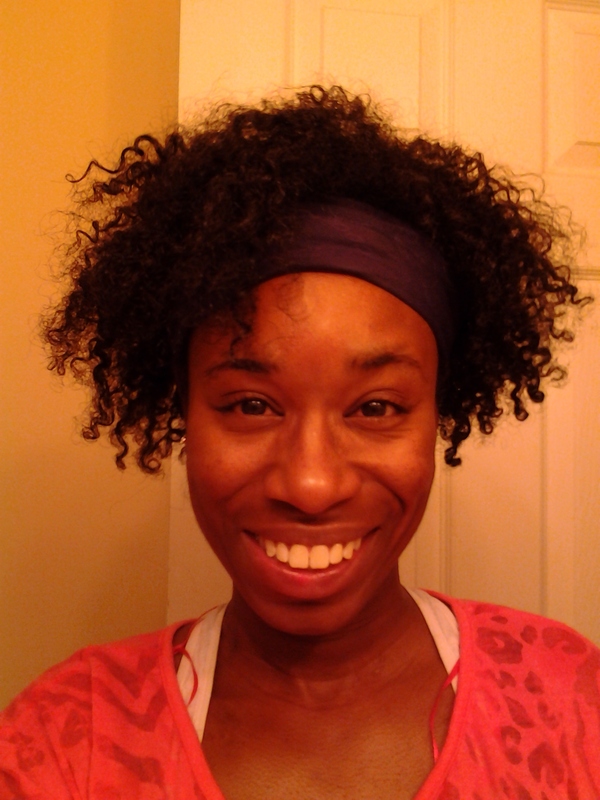 Lastly, two friends encouraged me to go natural and I got a blast of courage to do so. Going natural hasn’t been easy and it has certainly been a process. It also reminds me of the spiritual process we go through after we accept God’s offer of salvation through His Son Jesus Christ. Salvation doesn’t stop with just saying yes to salvation and no to eternal damnation, but it is an ongoing process. Shortly after making the conscious choice of no longer perming my hair, I had my hair cut and then started investing in natural Shea butter and a few other natural hair care products. However, my first two years was filled with perm itches, impatience, “what are you trying to do” side-eyed looks and questions, and frustration. At first it was hard to tame my hair the way I wanted it and I had to grow comfortable with it in its natural state. Yet, the process taught me some things about my faith walk. My faith walk will have trials and tribulations just like I’m going to have some bad hair days. Moreover, the process allowed me to strip my hair of all those things that was unhealthy for it and inhibiting its growth. Nonetheless, God is stripping me of all the ungodly things that is affecting my relationship with Him and inhibiting my spiritual growth. God needs to strip me so that He can refill me with everything in Him. I thought I needed perm to straighten my hair and wear my favorite hair style—a slicked back ponytail—but I don’t. I can use some edge control and the In-Stylers or the pressing comb to flat iron it when I want it straight and in a ponytail. I thought I needed the world to achieve certain things in life, but God’s way is always successful and He could do what I thought was impossible. Being natural is also a journey of self-discovery, building self-confidence and building self-appreciation. I love and appreciate every tight curl much more than I ever have. I am embracing my hair journey as well as my journeys of growing into a confident woman and living a surrendered life in the Lord. Those journeys are not easy, and I have a ways to go, but I’m on my way and the process isn’t so bad after all. Natural means existing in or caused by nature; not made or caused by humankind. Let’s key in on that last line, not made or caused by humankind, and reflect on God and what He says about us. He says we are fearfully and wonderfully made. He made everything and He made us; He made our hairs and knows the exact number of hairs we have. Natural also means that a thing is in a pure state, not artificial and not altered. God wants to show us how He sees us, what He intended for us, and how we look when we surrender it all to Him. Let Him purify our hearts and strip us of everything that tries to derail our destinies and our relationship with Him and distort our identities and our spiritual beauty. I praise Your name for Your authenticity, creativity and unfailing love. Thank You for the process and for the lessons You present along the journey. Thank You for salvation and for refining me so I can be pure-hearted and more like Your Son every day. I love You sincerely! In Jesus’ Name, Amen! Ladies, today I EMPOWER you to embrace your spiritual journey. Trust God to transform you into what you were meant to be all along. Allow Him to purify your heart, be patient and trust in Him as He strips you only to refill you with His Love, His Ways and His Desires.